(Natural News) Self-sufficiency is a highly important skill that you should strive to achieve for your own personal benefit. After all, you wouldn’t want to be caught unaware once disaster strikes. In terms of being self-sufficient as far as drinking water and personal heating are concerned, you can fall back on a little bit of simple chemistry to get you through. Fortunately, it doesn’t take a lot of time or resources to formulate a good solution for either one. Chemistry, in this regard, doesn’t necessarily mean that you’ll need to start mixing up chemicals of all sorts and trying out new combinations for these mixtures. It’s more simple than you realize. You just have to figure out what your best options are when it comes to turning potentially contaminated water into potable water to avoid various diseases, as well as to generate enough heat to warm at least your sleeping area so you can get through the night easier. First, the act of creating potable drinking water should be performed to help guarantee your health. Too often, people fall victim to contaminated water that contains either heavy metals or bacteria that can cause major problems. For this reason, it’s important to run any and all water that you intend to drink through an effective filtration system. And the way you should go about doing that in a survival scenario is by using an activated charcoal water filter. Why go with activated charcoal? The first reason is that it can be made rather quickly. Unless you already have charcoal on hand, getting activated charcoal for your Do-It-Yourself (DIY) filtration system should be quick and easy. Not to mention, the process is extremely cheap considering what you’re going to get out of it. So how exactly are you going to make yourself an activated charcoal water filter? Initially, you should acquire charcoal. The process for making charcoal itself is rather straightforward. Take a pile of wood covered with leaves and a thick layer of mud, burn it all inside a closed containment unit, and let the resulting mound cool for up to a couple of days. It’s better if you can find charcoal from other sources, as it cuts down on your own effort and doesn’t require extra resources. Once you have the charcoal, you can turn it into activated carbon – charcoal is also carbon – by first turning it into a powder then dissolving salt like road salt in it before rinsing all the salt out again. The resulting activated carbon can be used in a water filtration system that also involves the use of sands and rocks of gradually increasing grade. Of course, you’d still need to boil water to clear out any remaining contaminants and bacteria, but a properly working filter with activated carbon also goes a long way to help make things better. As for creating a method to produce heat in order to avoid having to get in a cold bed in times of disaster, you can make a simple chemical-based warmer. First, you’ll need a container. Ideally, you should go with something that can be easy to work with, yet doesn’t break that easily. Once you have decided on a container, like a resealable bag made out of clear vinyl or something similar, you can fill it up with your heating mixture of choice. Learning chemistry as part of your road to self-sufficiency can be a lot more rewarding than you think. It’s better to prepare ahead of time to make sure that you can make it through when SHTF. 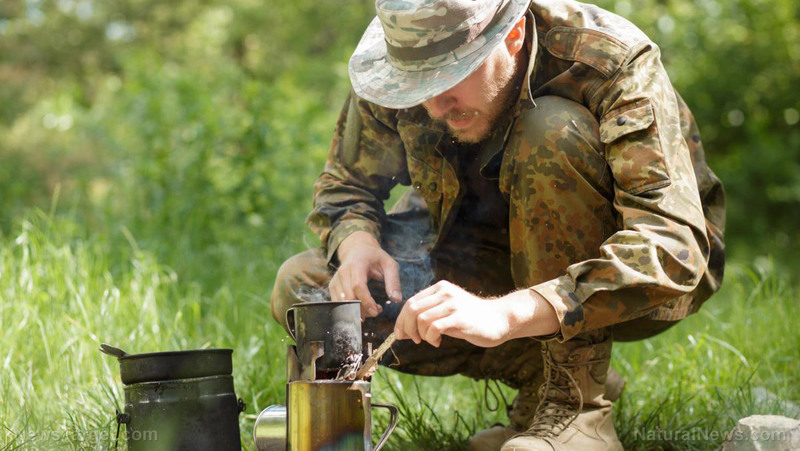 Read more articles on prepping in Bugout.news.